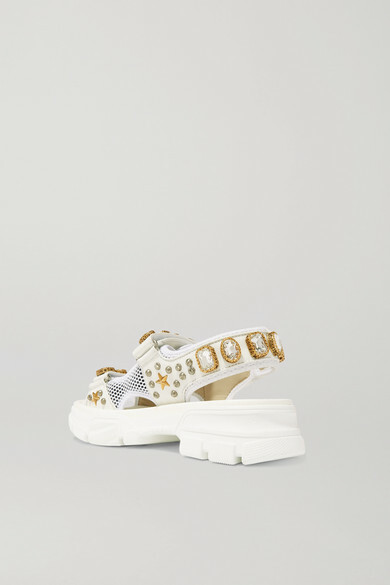 Alessandro Michele incorporates so many unique objects into Gucci's collections and his shows are just as theatrical - the model wearing these Resort '19 sandals walked along a runway lit with flames, which reflected in the chunky square crystals. 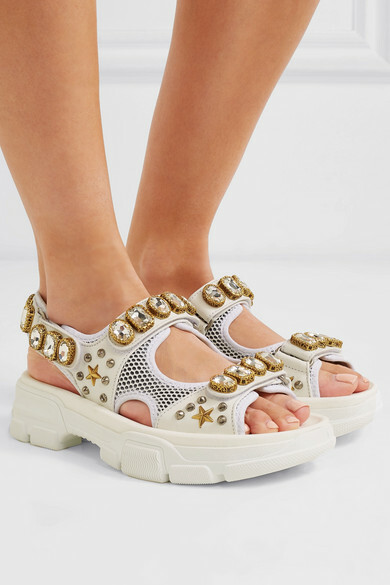 Made in Italy from white leather and mesh, this pair is also decorated with rows of stars and studs. They're grounded by thick rubber soles inspired by '80s sportswear, so don't be afraid to style them with retro socks. 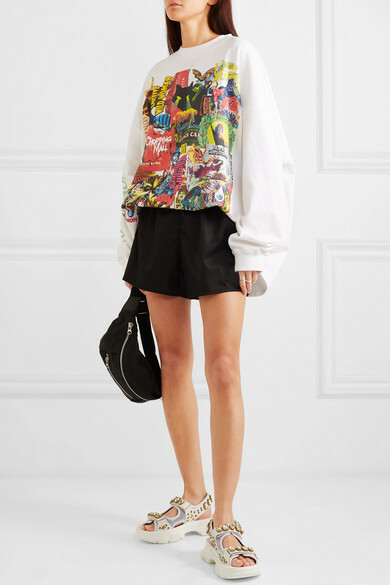 Shown here with: Prada Shorts, we11done Top, Isabel Marant Belt bag.